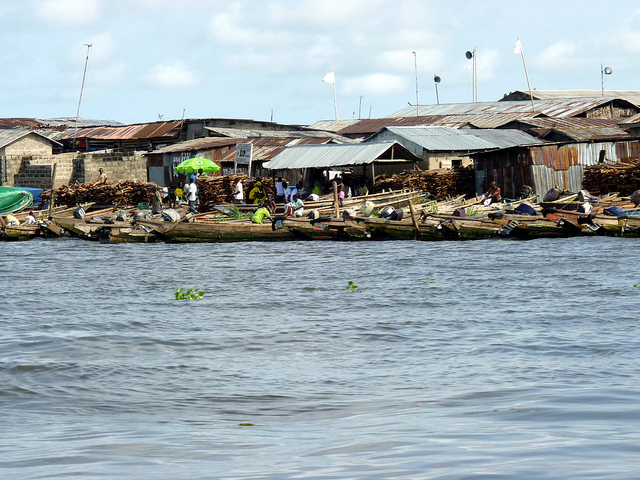 The coastal slums in Lagos, Nigeria are especially vulnerable to flooding as a result of climate change. Photo by Heinrich-Böll-Stiftung. Columbia University, in partnership with the City University of New York, published a new report, “Climate Change and Cities,” detailing the risks global cities face as a result of a warming world. The report is meant to serve as a resource to policymakers and researchers seeking to make more informed decisions on how to manage the effects of climate change. With contributions by 110 authors from 50 different cities, the report also explains how cities are working to reduce greenhouse gas emissions and prepare for the natural effects of climate change, like increased heat waves, drought and flooding. The report serves as a guideline to assess climate risks by providing examples of how 48 different cities around the world are implementing strategies for adaptation and mitigation. “There is growing recognition that effective mitigation and adaptation policies must rely on sound scientific research and data,” says the Urban Climate Change and Research Network, an Earth Institute center and the global coalition of climate change researchers that convened the report. The network promotes a four-track approach towards a global institutional architecture to reduce climate risk in the cities of developing countries. Of the four tracks, this reports serves in addressing the needs of the first track: a global research effort to establish the current understanding of climate change adaptation and mitigation at the city level. Click here to learn about the other tracks. Urban climate change risk results from a combination of hazards, vulnerabilities, and adaptive capacity. In the twelve cities listed above, average temperatures are projected to rise between 1°C and 4°C by the 2050s, increasing extreme weather events including heat waves. Coastal cities should expect to experience more frequent and more damaging flooding related to storm events in the future due to sea level rise. Particularly at risk are populations like those living in slums located in the lagoons of Lagos. In many cities, the quantity and quality of the energy, water, and transport systems will be significantly affected by the projected increases in both flooding and droughts. In developed country cities, leakage from the water supply distribution system can be severe, resulting in system losses of between approximately 5 percent and more than 30 percent. Developing country cities may use informal distribution systems, which can be even more vulnerable but whose loss is not as quantifiable. Although there is hope for local governments in dealing with climate change, “we’re a long way from being prepared,” said Shagun Mehrotra, co-editor of the study and the managing director of the Climate and Cities Program at Columbia University. Purchase and download the full report here.